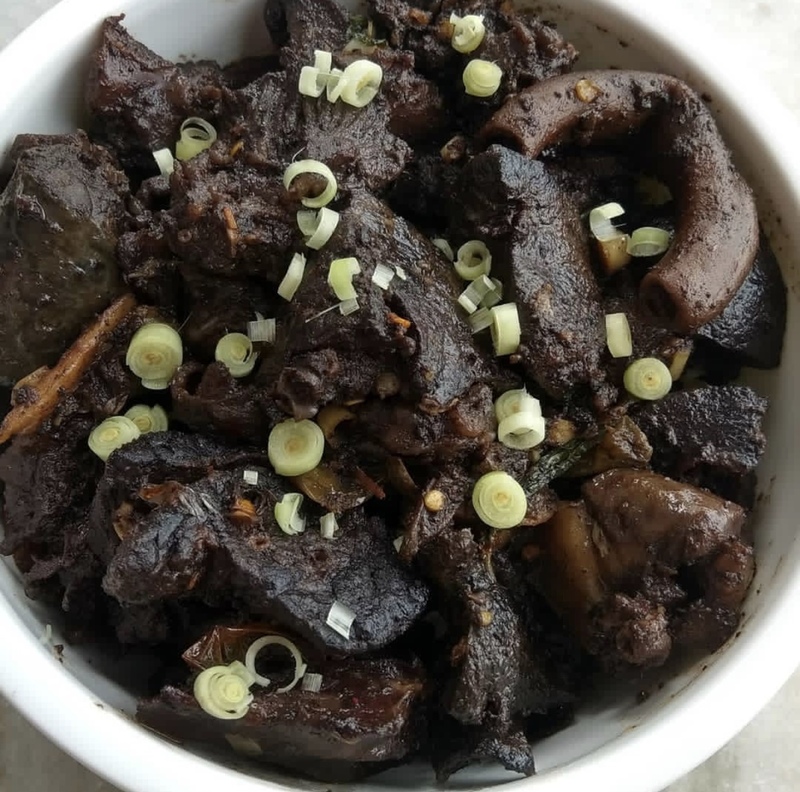 Today we have a special dish from Nagaland with a taste that is hard to beat: Pork Innards! Made with simple ingredients and easy to follow steps, it is sure to give a kick to your taste buds – with the strong flavor of Naga spices, and the many textures of the innards meat. Recipe contributed by our friend Inali Jane. 1 and 1/2 kg of pork innards consisting of heart, portion of liver, intestines, gut, and spleen with fats attached. Add the king chili, a small portion of the ginger garlic paste and salt to the innards, and cook over medium flame. Do not add water as the innards would have gathered enough water during the cleaning process, which will come out as we cook. Cook for 30-40 minutes. Stir occasionally. As the innards start to boil and become tender, add cherry tomatoes and diced lemongrass. 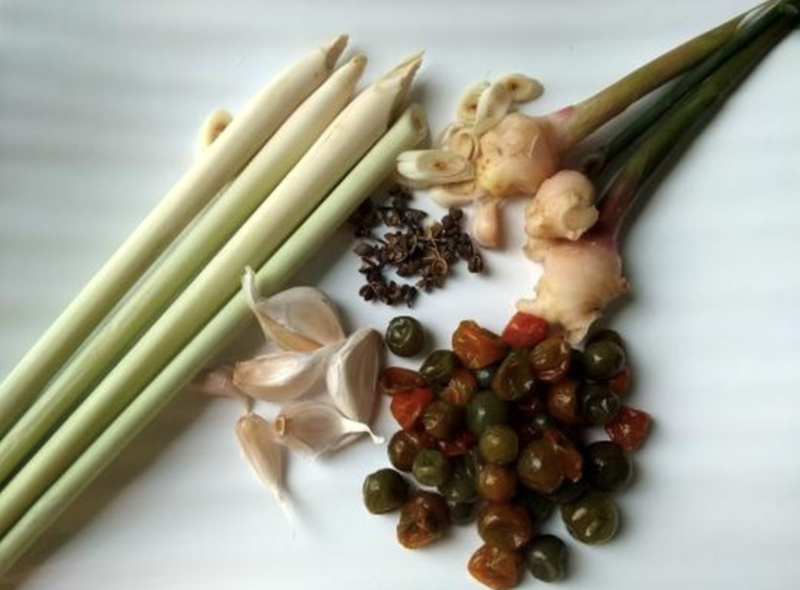 Add the remaining ginger garlic paste along with ground Sichuan pepper and cook for another 30 minutes – or until it is fully cooked, and the spices well blended into the meat. Finish off by adding some freshly ground Sichuan pepper. Crush the toasted pepper under your palms – directly over the curry just before turning off the gas. Delicious pork innards dish is ready! Serve with a plate of steamed rice, chutney and boiled vegetables – or serve with a cup of hot black tea.